Stage 8 Manual Locking Hub Fasteners UNIVERSAL - Performance Auto Parts - Car and Truck Accessories | JM Auto Racing - Intensify Your Ride! No matter if it’s brutal competition or weekend trial outings Stage 8 Locking Fasteners are guaranteed not to loosen under the most rugged conditions. All are easy to install with no special tools. 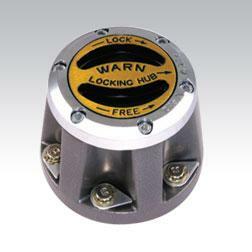 Stage 8 Locking Fasteners retrofit easily and are available in both U.S. and Metric sizes. All are proudly made in the USA. Unaffected by shock, vibration or thermal cycling Stage 8 Fasteners keep components tightly bolted together increasing dependability. Our quarter century 100% success rate keeping bolted joints secure means you’ll spend less time tightening and more time driving.